Have you noticed a growing trend towards wallpaper again? Yep- IT. IS. OFFICIAL. 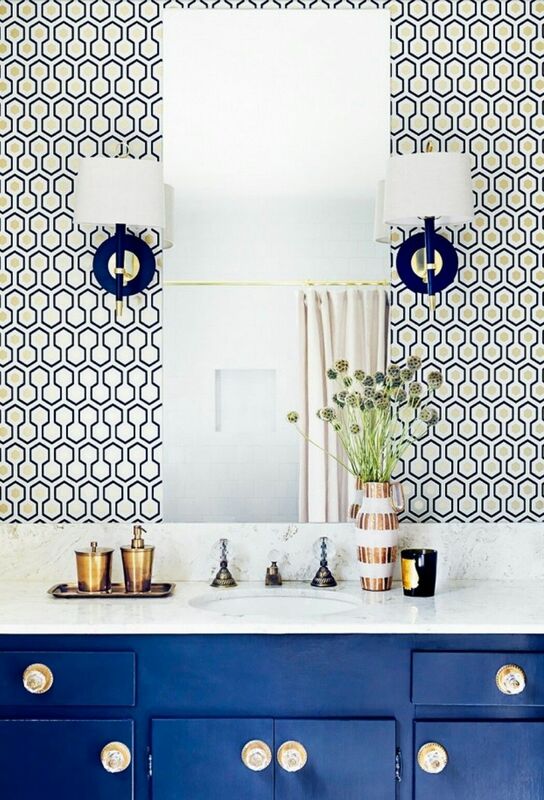 From geometric to floral patterns, bold to subtle colors, and accent walls to full rooms, wallpaper is on the move upwards in the decor chain. And I have to say, I ain’t hating it!! It brings in a custom look, and a real sense of personality to your home. So, who is ready?? 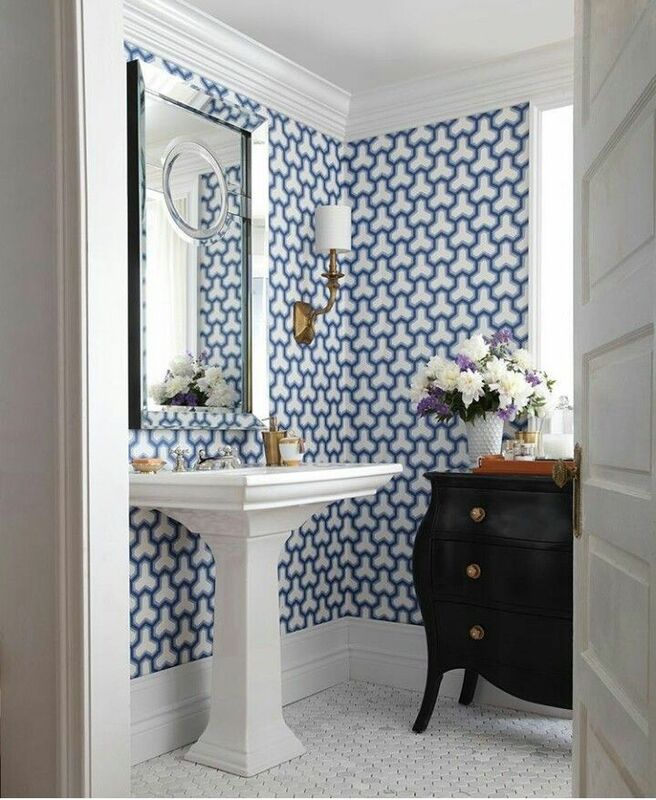 29 Fabulous Wallpaper Ideas to Try for Your Powder Bathroom (Part 1). ***UPDATE*** 44 Adorable Wallpaper Ideas (Part 2) is now ready! If you’re looking to shop your favorite wallpaper choices, check out this post. Bold colors or subtle colors. Large patterns/prints or small patterns/prints. One accent wall, half wall with wainscoting, or the entire room with wallpaper. Sophisticated style or playful style. You may like both choices in each, but one of them will always catch your eye more than the other ones. For example, you might choose: subtle, small print, entire room, and sophisticated style. Now you have an idea of which wallpaper style is YOUR style. Scroll back through the pictures again…..ONE picture will stick out as your favorite! You have found your style– take the plunge!! Still afraid to commit – don’t worry! 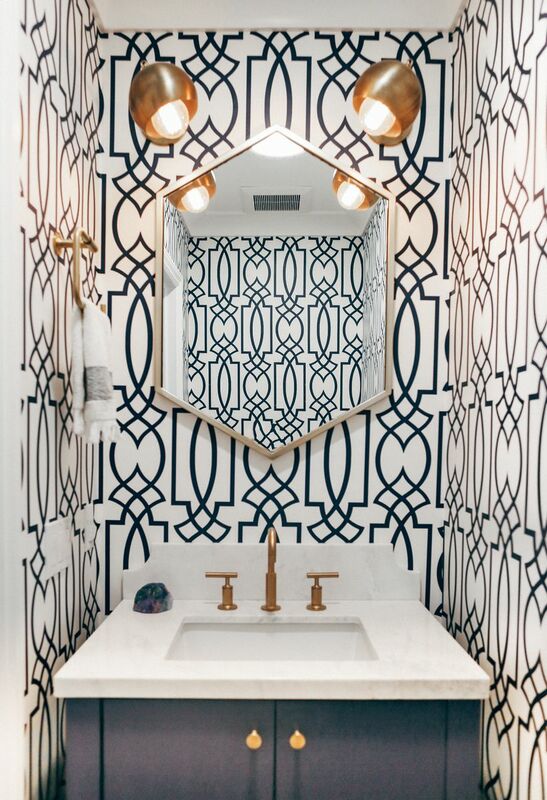 The powder bath is the perfect room to try wallpaper because it isn’t connected to any other room in your house. Go crazy if you want. Try one accent wall or adhesive wallpaper – (the removal is easy if you decide you don’t like it). So, now that you are out of excuses (I am also talking to myself too 😉 ) ……. 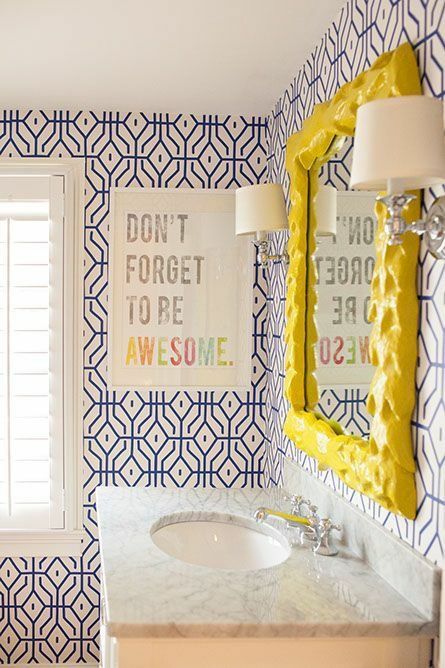 Here are my picks for 29 Fabulous Wallpaper Ideas To Try For Your Powder Bathroom (Part 1). Like buffalo check, try 10 Ways to Add Buffalo Check (without breaking the bank) or follow me on pinterest: buffalo check love. Looking to shop your favorite wallpaper: try 44 Adorable Wallpaper Ideas (Part 2). The next 2 are actual bathrooms….but they were just too cute that I had to include them. So……which one if your favorite? And which ones would you actually do in your own home? Let me know if you choose one- I’d love to see how it turns out!! *** UPDATE *** 44 ADORABLE WALLPAPER IDEAS (PART 2) IS NOW READY!! CLICK HERE TO SHOP WALLPAPER.